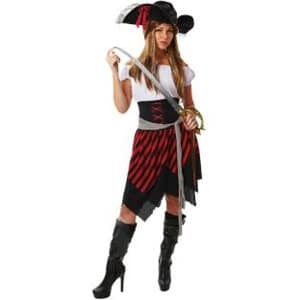 If, like us, you’ve got a Halloween party to go to this weekend you might like a few ideas for costumes. It’s pretty hard to think of something original. To help out our fellow search marketers, here’s a few geeky ideas from around the internet. 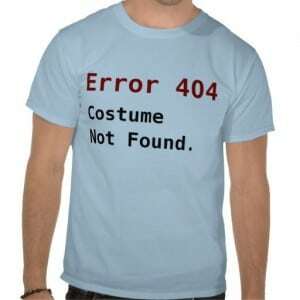 This is the perfect last minute costume idea! You could make this at home with a plain t shirt and a marker pen. 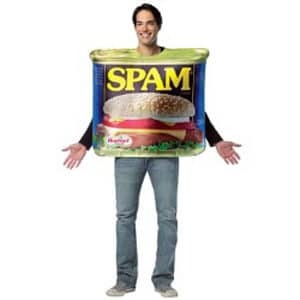 Sure to go down well, this tin of spam costume is pretty funny. Just be aware that your friends or colleagues might not to be associated with you! Argh, me hearties! Embody Google’s latest update, ye olde pirate. Be sure to keep a high profile, or it might be hard for people to find you. Every brand’s wish fulfilled. This scary virus infected zombie costume is sure to get you noticed at your Halloween party. Everyone will be talking about you in no time. 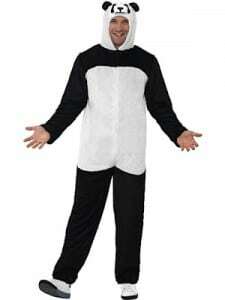 If you’re looking for a high-quality costume, how about a cuddly panda? Another of Google’s algo updates, the panda could be made to look more scary by adding some fake blood! We’re transforming our new bar area into a spooky space for our own howling Halloween party on 31st October. There’s going to be a prize for the best dressed! We’d love to know what you’re going to be dressing up as this Halloween. Tell us in the comments below.